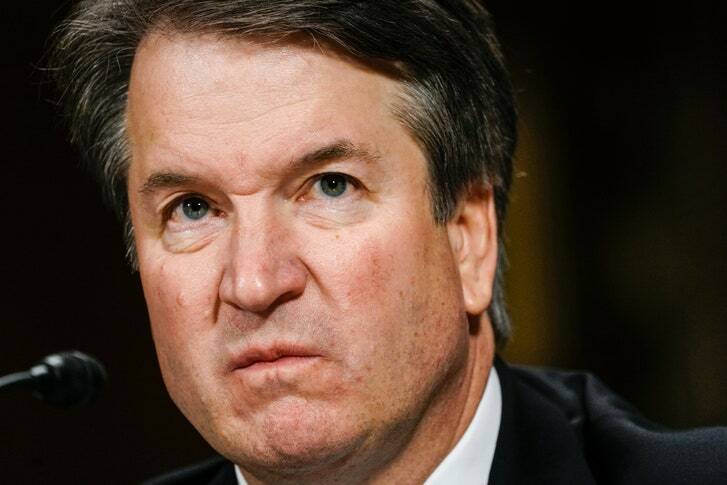 "Judge Brett Kavanaugh is almost certainly going to be appointed the next member of the Supreme Court of the United States. Whatever Christine Blasey Ford said in her testimony before the Senate Judiciary Committee on Thursday, and whatever Kavanaugh said in his, and however credible and convincing either one seemed, none of it was going to affect this virtual inevitability. The Republicans, if they stick together, have the necessary votes. A veneer of civility made it seem as if the senators were questioning Ford and Kavanaugh to get to the truth of whether Kavanaugh, as a drunk teen-ager, attended a party where he pinned Ford to a bed and sexually assaulted her, thirty-six years ago. But that’s not what the hearing was designed to explore. At the time of this writing, composed in the eighth hour of the grotesque historic activity happening in the Capitol Hill chamber, it should be as plain as day that what we witnessed was the patriarchy testing how far its politics of resentment can go. And there is no limit. The Hill-Thomas hearings persist in the American consciousness as a watershed moment for partisanship, for male entitlement, for testimony on sexual misconduct, for intra-racial tension and interracial affiliation. The Ford-Kavanaugh hearings will be remembered for their entrenchment of the worst impulses from that earlier ordeal. What took place on Thursday confirms that male indignation will be coddled, and the gospel of male success elevated. It confirms that there is no fair arena for women’s speech. Mechanisms of accountability will be made irrelevant. Some people walked away from 1991 enraged. The next year was said to be the Year of the Woman. Our next year, like this one, will be the Year of the Man."